This small co-operative founded in 1954, has 110 members and 200 hectares of vineyard in the Haut-Rhin, nine kilometres from Colmar. Winemaker Nicolas Garde started at the winery in 2004 and his influence continues to be seen in the way the wines improve with each vintage. A shiny and elegant straw yellow with delicate silver tint. The nose has a nice complexity and aromas of citrus, pear and white flowers. 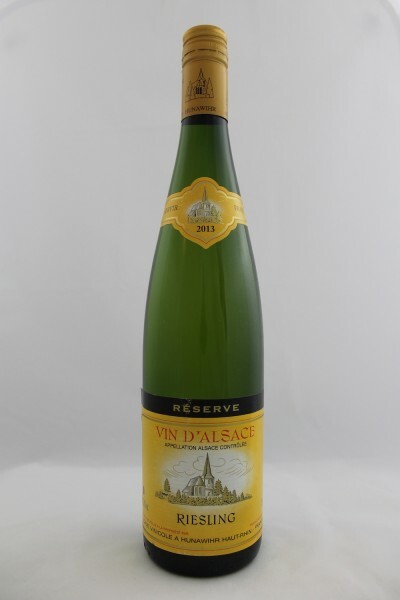 A lively attack on the palate, typical for this fresh vintage, follows with strong citrus flavours. A long-lasting wine, with a refreshing finish.